The ESFS are happy to release the current nominees for the ESFS Achievement Awards and the ESFS Hall of Fame Awards. 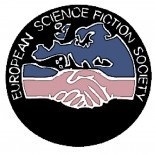 The winner of these awards will be selected at the next general meeting of the ESFS, which will take place at the 40th Eurocon which takes place in Amiens on the 19th to the 22nd of July. The Nominees and the various categories are contained in the following documents.